PLANS are afoot to bring the PBA Philippine Cup Christmas Day game between Barangay Ginebra and Star to the Philippine Sports Arena in Bocaue. SPIN.ph got wind of the plan as the December 25 doubleheader that also features rejuvenated Blackwater and Mahindra in the curtain raiser remains without a venue to this day. Both the Smart Araneta Coliseum and Mall of Asia Arena are already booked for other events on Christmas Day. MoA will be hosting 'Disney on Ice' while the Big Dome will be the venue for a performance by the Le Grand Cirque from Las Vegas. 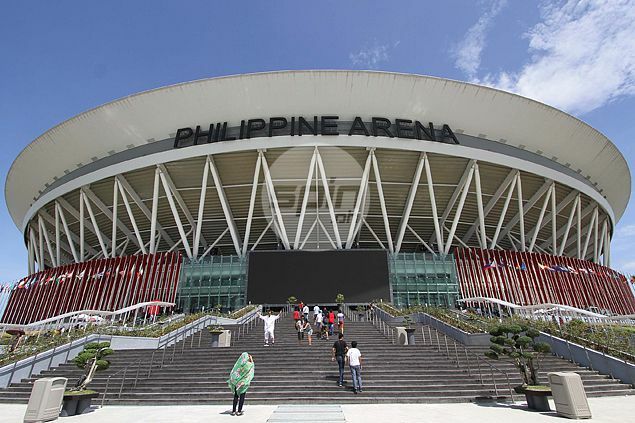 Media bureau chief Willie Marcial confirmed that top executive of the arena owned by the Iglesia ni Cristo, have already been advised about the proposal, but no definite deal has been agreed upon. Also being considered is the Astrodome in Pasay and Philsports in Pasig, although given the magnitude of the occasion and the big holiday crowd expected to be on hand, the 55,000-seater indoor arena in Bulacan appears to be the logical choice to hold the game pitting the pro league’s two most popular ballclubs, according to a member of the league’s board of governors. The league previously held the opening of its 40th season at the same indoor arena, where it registered the biggest single attendance record of 52,612 fans who watched the main game between Ginebra and TNT Katropa. Curiously, Mahindra, led by playing coach Manny Pacquiao, and Blackwater were also featured in the first game when the two expansion franchises made their league debut. Last year’s Christmas Day quarterfinal match between Ginebra and Star drew a crowd of close to 22,000 at the Mall of Asia. LA Tenorio hit a three-pointer to beat the overtime buzzer as the Kings ousted the Hotshots, 92-89, in the playoffs.